Kalaimamani Vasantha Vaikunth is a multi-faceted personality, an acclaimed dancer who has more than 200 shows to her credit in India and abroad. She believes in spirituality in dance, as she has titled her book, that was launched in Music academy Chennai and Mumbai. “ART is my breath and a healing experience in my life.” She is a true Indian, patriotic and passionate on spreading Indian culture and heritage wherever she goes to live. She is a global person who imparts Indian art and the scriptural knowledge in the name of life and living. She has trained 100 students in Oman, India and US. She has spread Indian Art and culture in Gulf and she came to be known as the cultural ambassador of India, and won her the place as the senior panelist in Bharathiyapravasi held in Delhi. Her famous shiva shakthi school of dance has trained dancers who are performing artists today. “It was not easy to create art awareness in the gulf region but I can proudly say that there are number of Indian art festivals held in the region today with respect” Says Vasantha. She has performed in France, Germany, UK, Austrian festival, Australia, USA and conducted workshops. She has been a good wife to her husband Mr Vaikunth, supported him in his career, and groomed a good, successful son along with her own career as a dancer and a living skill coach. Balancing life is also an art, you need creative energy and the divine grace to tide over the challenges to keep the family and career together. It is interesting to hear her miraculous journey of dance. She was medically advised not to dance, if she wanted to save her feet as she is born flat footed and has an extra bone growth in her feet. Her passion for dance defied all medical rules and made her bounce back to the art after 20 years in a land that did not inspire fine art. “ she is an oasis in the desert” said Mr Natwar Singh the then foreign minister of India. There was no turning back for Vasantha since then; she was called to perform dance for all the foreign delegates in India and Oman. She participated in all the festivals of India abroad that gave her the recognition as an extraordinary performing artist who represented India all over the world. Vasantha toured USA extensively teaching, choreographing dance ballets in various universities and her dance productions were taken to TUFTS UNIVERSITY AND UNIVERSITY OF MASSACHUSSTTES. They awarded her the title KALAVIDUSHI and she is the only Indian dancer who got the opportunity to collaborate with world dance group in USA called NUT CRACKERS. Her contributions in the field of art gave her the recognition in BHARATHIYA PRAVASI Delhi. The ambassador of India to Oman gave her the title of THE CULTURAL AMBASODOR OF INDIA. She won the award ACHARYA KALAVIPANCHI from SRI BALAMURLIKRISHNA, and the first Indian NRI to receive the most prestigious award KALAIMAMANI from the government of Tamilnadu. She is also a curator of paintings, ran THE CENTER FOR PERFORMING ARTS in Bangalore and Oman. She encouraged the artists from different parts of Karnataka and promoted village artists. She took them from villages to the gulf countries and their blessings are very valuable to me says vasantha. Her ambitious achievement was when she got all the ambassadors of SAARC countries together under one platform in 2009 for the event called LATITUDES art beyond borders. There was a display of paintings from India, China, Pakistan, Korea, Srilanka, Bangladesh, Thailand. She was awarded from the Government Oman as a lover of peace. She ran a non profitable cultural organization called RAGAVARSHA that encouraged Indian artist from north and south to perform in the gulf and Muscat came to be known as Mecca of fine arts. She is the chairperson for WEF ALL south zone performing arts. Dance is me, but I need to find an expression of my inner self by reaching out to people and wipe their tears and see them smile—says vasantha. She is a core member of Bangalore community services and Tribal education in Karnataka. She reaches out to the people in villages near Bangalore and cancer institutions to extend her support. She launched the futuristic website lifenliving.org, an online NGO that gives emotional support to people who are in cross roads and has answers to questions related to marriage, parenting, midlife crisis and retirement phobia, loneliness in the techno infested society. My heart goes to the humanity that is caught up in confusion and conflict. My passion to dance is more towards prayers and I have moved on to fulfill my purpose of life through lifenliving.org, a website that makes you smile and hand holds you to your goals. People have to realize that success is not only related to money and power but to mental well being. She has run workshops on living skills in corporate like RELIANCE, AXIS BANK, INDECOM,FORBES AND COMPANY, ACCENTURE; OXFORD COLLEGE, CHRIST COLLEGE AND CHENNAI IIT. She has taught living skill program in the University of Massachusetts in the US. Her off line seminars are very well received. The greatest help she extends is ONLINE COUNSELLING where the client is anonymous and there is a comfort level. She has so far helped 100 people in 4 months on skype, and phone. It is heart breaking to see loneliness and depression catching up in our society and I am happy to have created a platform for healing them without embarrassing them. LIFENLIVING.ORG is the website launched in Bangalore this year, an online support system that has benefited people all over the world as she has cleverly used the technology to reach out to people who suffer in the globe. This is the first time someone has come forward to give a helping hand without any price attached to it and it is a great service to humanity. Changing world has to be embraced with intelligence and emotion. 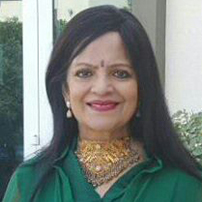 My mission is to give a helping hand to people and hand holds them towards positive thinking.She is a teacher of Vedanta and the Gita, she connects our scriptures to practical living style. “Spirituality is what humanity needs, not religions and rituals; serving mankind is the ultimate pursuit of every human being” says vasantha. Anyone can contact me through the website on skype or what s app says vasantha vaikunth. She is special and unique in all her endeavors and her journey is one great inspiration to all.